How to open a clickbank account in Nigeria for free. If you are a very good customer of Google’s search engine, you will discover the above search phrase, especially if you are in the make money online search party. Owning a clickbank account, has become cumbersome especially with the issues of VPNs, dynamic IPs and all that. Many people have hit brick walls when trying to open a clickbank account. Well the good news is this, I will teach it for free on this post today. There is no request for your money, well at least not yet. On one of my numerous Nairaland threads, I opened Clickbank accounts for seven people who contacted me for free but the consequent persons I charged them =N=2,000. The issue with some of us is greed, before that thread was opened, I had a thread were I opened accounts free for everyone, only for these persons to sell those accounts for as much as =N=15,000 per account. One person in particular had two monikers and approached me again not knowing that, I knew of his plans. Thank God the thread was deleted due to some extra problems. Five months ago, I was touched by a fellow who told me his father was hospitalized and he had exhausted all he saved up, no jobs for 7 years after graduating so I had to teach him this and he made his first sale in the first week, only for him to package my tutorial in an eBook and sell for =N=6500. Why? Had i turned you down, he would have called me wicked or whatever well its his problem, not mine. Requirements For How To Open A Clickbank Account For Free. A stable 3G network, MTN is the best in my area and I recommend MTN in the day because of their stable IP, but at night it becomes dynamic (7pm to be précised). Airtel’s IP is always dynamic but stable by midnight. A PC. To be on a safe side, you will need a PC, android phones are okay but most VPN services on android are wacky and can mess you up along the line. Epic Browser. Usually, epic browser comes as an online installer of about 1.5mb, once you download and execute it, it will need to download another 45mb file so you have to stay connected to the internet as you do this. 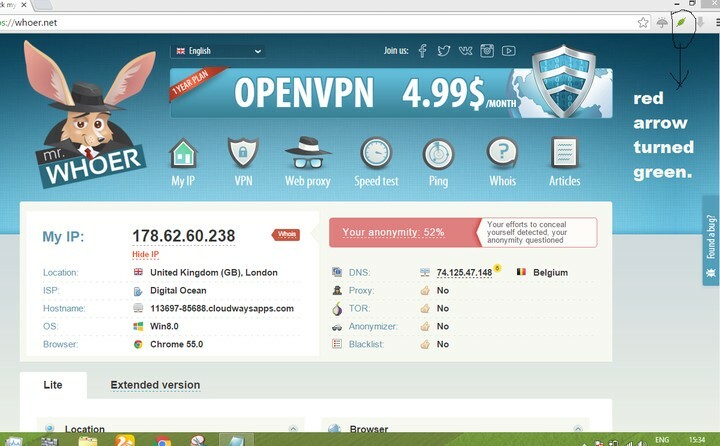 This browser serves as a VPN and cookie blocker to avoid websites from knowing your real IP, how many of us here know that Mozilla and Safari browsers sell your identities to companies for promotional purposes? Bet you don’t. But if you already have epic browser, let’s move on. You can download it here if you do not want the online installer. A payoneer card, if you don’t have but you are sure you can get it then continue with the tutorial. If you haven’t registered for a payoneer card and you need one click here.. While you read this, don’t miss out on this free training I once sold for $30. 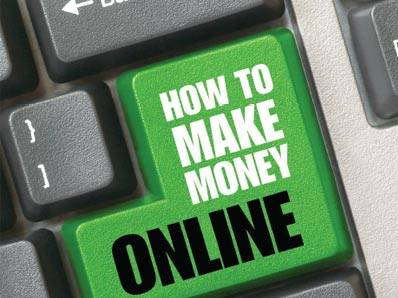 The contents of this training are the updated method of creating Clickbank accounts for non-supported countries, a list of the most lucrative niches on Clickbank, that made me $1000 in my second 3 weeks on Clickbank and how to select the products I promote . I will be taking this down by the time the downloads hit 25, right now, there are 15 downloads already.. Click here to download your free ebook. Instructions To Open A Clickbank Account For Free. After creating a Gmail account and installing Epic Browser on your PC, launch epic browser. And open four tabs. On the top right hand of epic browser, you will see a red arrow (if you are using it for the first time). For the purpose of this tutorial, we will be making use of the UK. Click that red arrow, you should see ‘epic’s encrypted proxy’, click on and select UK. Once successful, the arrow should turn green. (screenshots below). On tab1: visit www.whoer.net, once you see location United Kingdom (GB), you are safe to continue, but if you don’t, deactivate your Kaspersky, AVG and Bitdefender antivirus because they alter epic browser. Try the step again and you should see location changed to UK. Tab2: login to your Gmail account. Where you have gender, if you are male select male, if you are a female select female. Where you have name set, select England/ Wales. On country section, select United Kingdom. See screenshot below. Copy every detail there into your PC’s notepad, for easy access. The only info you will need are phone number, city, postal code and street address. It seems Clickbank upped their game by adding State as in the state of your generated city.. So to by pass this, if you generate a city like MICKLEOVER, simply Google ‘ MICKLEOVER then once you see Wikipedia’s info on that city, open it and you’ll see the state of your generated city. On the space for postal code, input your postal code, in our case it is TF13 3GE in block letters please. For city type in your generated city, ours is WESTON. Then phone number, ours is +44 783 669 6621. It is simple just remove the 0 (zero) before the 7 and you are good. Then input your virgin email address. Click next step, you should now land on a section called Banking Information. Here you will need PAYEE name, which is your original name. Input your OWN NAME as it appears on your Payoneer card. Next step is the country your bank is situated or located in, select United Kingdom, for bank name put in Citibank or Barclays bank. Accept the terms and conditions, then input the captcha. If you followed all I said, you should be successful and land on ACCOUNT INFORMATION page. Once you are here on this page, the battle is 99% won. You will need a username, input whatever name you want. Then password should be in this format ABcd12$%. It means at least 2 uppercase letters, 2 lower case letters, 2 numbers and 2 special characters. After this select OK or continue, whichever one you see. Then you will need to confirm your email, using the same epic browser. After this relax, you are done. If for any reason you weren’t successful or you got the “thank you for registering on clickbank, unfortunately we don’t ………”, then you need to start all over with another email and a freshly generated address, phone number postal code etc. But if you followed my tutorial, you should have no issues. If after all these, you weren’t successful, well send me a mail at nohitchweb@gmail.com, provided you will be able to pay for my service. Thank you and enjoy your account. Share on your social media platforms, a lot of persons will need this…thank you..
Now it’s up to you, your passion, your creativity and your own hard work. Whatever you do, always try to give value, because after all, that’s what everyone else, yourself included, is looking for. This is where and how I started and what I ultimately owe my success to. This is hands down the best place to start if you’re new to affiliate marketing, where thousands of people have reached great success on their journey to earning from Clickbank, because this course really takes you to your goal from A to Z! See how it changed my life and how it can change yours, by clicking here. Next story Mini Importation Business In Nigeria. i am glad you found the content helpful.. do visit more often and share to care!!! I stumbled upon this article while searching for how to open a Clickbank acct In Nigeria at first I was very excited seeing it’s a recent post but when I tried opening a Clickbank acct using this outline steps, it was unsuccessful no matters how many new emails I use and when I check my IP address, it shows me United Kingdom (GB), I don’t know whether this is still working or not but thanks for sharing. I’m really happy to find this post. I’ll implement the knowledge and give feedback. What about how to be an affiliate on clickbank? Well I am preparing a post on that..it should be ready anytime soon. Nkechinyere, you didn’t follow the tutorial because i mentioned the state issue and gave a solution….. It seems Clickbank upped their game by adding State as in the state of your generated city.. It works for me. Thanks a lot. I’ve some questions bros.
1. Should I always login using Epic browser each time that i’m accessing ClickBank ? 2. The Bank Name on my Payooner card is not Citibank but Community Federal Savings Bank. However, I input Citibank to comply by your instructions. Hope this won’t create problem? 3. What about connecting my ClickBank a/c with my Payooner a/c to enter such information as Routing (ABA), Account # and A/c Type? Yes always use your epic browser when you want to login…. Should I use the Epic Browser when I login to my Clickbank a/c to edit my “payment information” options to conform with my Payooner a/c information? What about the Tax problem that will eventually comes up during payment if I use my Payooner US Bank a/c information? Please clarify these questions. Thank you for sharing your wealth of information. You’re blessed. after I have entered account information, I keep getting this “Thank you for your interest in ClickBank! Thanks Esther…please keep visiting..more free and cool stuff coming your way..
sir can open it for me i dont had some of the requirement ? Kenny Nwakanma thank for this info i try it but my epic browser could not load the registration page. what was the error message you got? SIR,GOODMORGNIN. WHAT IS CLICK BANK ? WHAT CAN IT BE US FOR? Mtn and Airtel have both blocked Epic Browser VPN service..
it depends on the niche and you want to target. Thanks for the info but my epic browser could not work on any other country except US. Wïiooooooooow. What a great content. Well i found this as the most helpful tutorial for clickbank acc creation. I hardly comment in blogs,, but i must say thanks man. Payoneer after using Barclays Bank or Citibank, later you change payment method to direct deposit and input your payoneer account details there. Very good bro, am going to give your steps a trial, you really did well by introducing Epic browser because i was about to buy VPN on line but thanks to your information i dont need to waste my money. thanks again. Dear Kenny, I appreciate your good work, I tried to open the clikbank account and I keep getting the message “tracker blocked”. Please I need you to show me a way around this. I have already emailed you. I appreciate your generosity. God less you. Kenny, I liked your post on how to open clickbank account with epic browser and all that, I did all you explained but I always hit the stone when I tried to open account with clickbank using epic browser. The account registration page could not open, it was frustrating. I could be able to generate fake address, I also got a new gmail account for this but my drawback has been inability to access clickbank registration form page. what’s your advice on that? I need your prompt help. pls l tried everything up to clicking on squares with traffic signs,cars etc,but all to no avail,for God’s sake help me.l depend on you,l tried different times,thank you. Wao! kenny N. your info is very informing and direct to the point. Thank God i stumbled on the post, i hope to make good use of the info. However from the update for Martins, what is the way forward on this matter. i will be glad to get help. thank you very just create my clickbank account now. Pls. where can i meet you? Am in cross river nigeria, i need clickbank to be buying small digittal products. Or can you open it for me? for use in Android phone. 1. As for payoneer you can still open one but let the name you used to open the clickbank account tally with your payoneer account.. if your clickbank name is James John..your payoneer should read James John as well not John James..
God bless you for this info, but I have some few questions: 1. Won’t they contact the address used. 2. What about the phone number, I.e is it your Nigerian phone number that you just removed the zero like you said and if so does that mean that whenever they contact the edited phone number it will be you. 3. I don’t have a PC right now and am interested in opening a clickbank account, how much will it cost me. 4. Lastly after opening it can I access it through my android. You will need a PC …. Hello sir is this information still working? I’ve sent you emails and you’re yet to reply me. Kindly reply. Thanks. hi, please can you create a click bank account for me. Your guide is pretty cool. I recently opened my clickbank account using the strategy you shared but am still in bit of a confusion. Can i market product to those in the US knowing fully well that i set my country to UK and in which currency will i get paid. Pls sir i await ur response. Thanks boss… your info was very much helpful… in fact, i’m running my clickbank acount in very cool way.. though no sales yet cos i just finished the registration process. thanks a bunch. Baba your are too much. I just signed up now for Clickbank with ease following your method. Thanks for your selfless help to the public. I really appreciate. But unfortunately, i followed up the steps as stated in your article to create the account but it wasn’t successful, i tried it for two times with different information and i still had the same thing. is there anyway u can render help for me please. 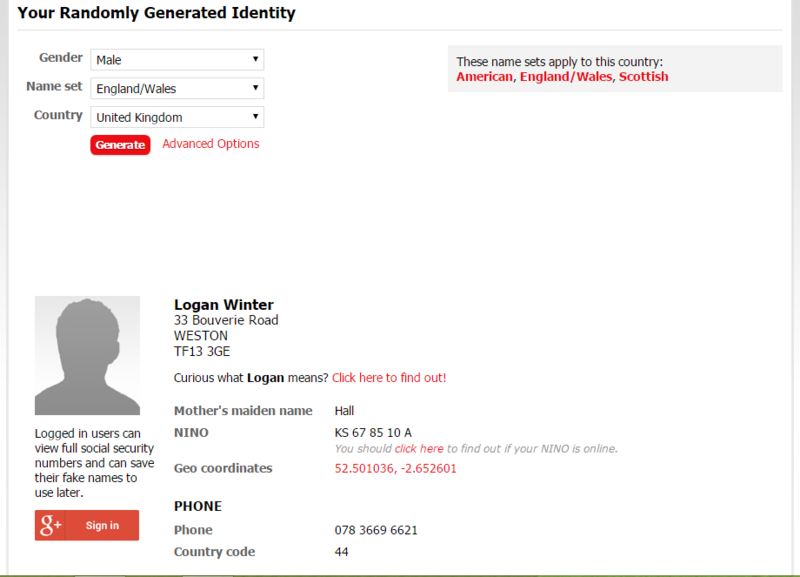 (N/B: the new virgin email account that i use, i created it with my Nigerian number [for the purpose of verification] and i dont know if that can be the cause the registration is not approved). Gd day bros, thanks for this great info, may God continually bless u.
Pls is it advisable to open d payoneer card thru Epic browser and do i use d generated name for my virgin gmail acct? Thanks for the info God bless u, my question is won’t they contact the fake phone number any time for verification ? bro, thanks for the info, but mine was taking forever to take me to the account info page, what do i do? ThankGod i came across you today please you need to help your brother in need, i have not been able to open this clickbank account, the guy taking me has been battling with this, he said until we are able to get our EIN employee identification number OR SSN social security number that we can not open this account and that it is only issue to those in united state, according him the form required such details, . although we have been able to open payoneer account but i do have have the card yet. please i need your help, please forget about those that have wounded you in the paste, just keep doing good. please can you help me to open one, i have been doing local ones like konga and jumia but not to show for it. i expect your response via mail or can we talk, my phone is 08033793843. thank you. sent you a message sir about the package I bought. please check your mail. Thanks for the post. Please, can I still use the same payoneer account details I used before where the account was blocked and subsequent registration unsuccessful? My epic browser is not showing the arrow. What should I do? 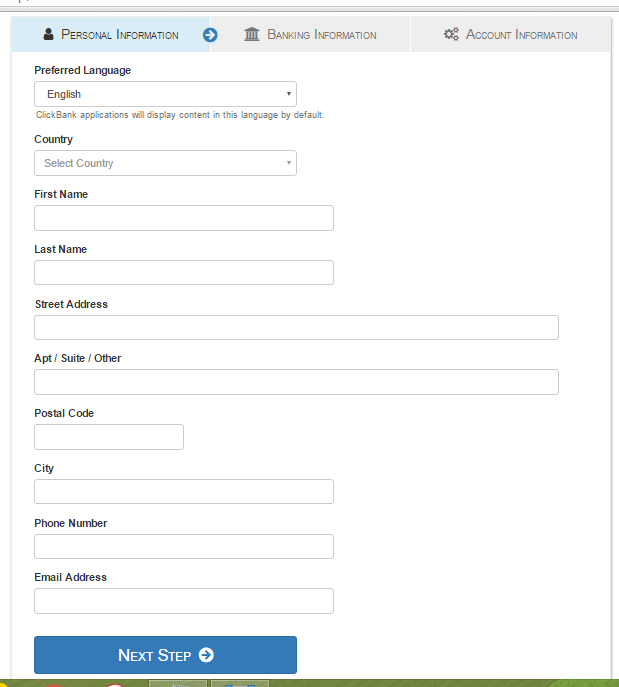 Can I use united states First Century Bank details given by payoneer? once the account is opened, do i still need vpn to run it? is it covered in your tutorials? yes sun, you will need a vpn service.. Thank you sir for the post but i tried everything several times but it ddnt work, please sir i really need this account I’ll appreciate it you assist me i just sent you an email thanks.